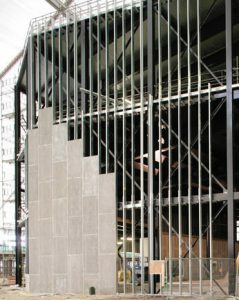 Metsec, also known as SFS, is a light gauge metal infill walling solution used to create an envelope system. The external wall infill includes a lightweight structure, typically made from a light steel. This is attached to the main building. 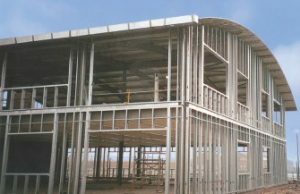 The steel frame offers the support needed for installation and cladding. This ensures the system is weathered during the early phases of building. The main benefit of SFS Metsec Manchester is that the infill wall can be installed quickly during the early stages of the build. After installation the build becomes weatherproof and the weather seal is secured. this then allows the site teams to handle more traditional infill processes quicker. 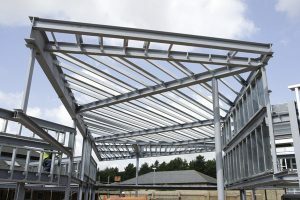 A Metsec infill is brought to the site as panels of lightweight, pre-fabricated steel frames that are designed to slot between the floors of a building. There’s no time wasted waiting for the material to dry. Metsec Manchester arrives “dry”, saving time and money on handling and labour. While a Metsec wall won’t be able to work as a loadbearing wall, it will still prove strong enough to hold against high wind speeds. That is why SFS is recommended for high buildings that are buffeted by a lot of wind. As sturdy as a Metsec Manchester steel wall is, it’s also much lighter than a block wall. It puts far less weight pressure onto a floor. This makes it ideal for a refurbishment project. Older floors aren’t always able to take on a heavy modern load. These advantages ensure that every client working with an SFS steel infill wall is provided a high quality product with a reduced building time. Another great benefit of these systems is that they are easy to relocate if anything changes. They also offer great sound proofing and protection against fire. As professional specialist contractors we pride ourselves on our ability to work quickly, accurately, and professionally to give our clients the results they need. Metsec offers a perfect solution for when you need high quality results in a fraction of the time. We understand your needs and work with high quality materials to provide a high quality result. Get in touch today to learn more about SFS Manchester or arrange a quote!